AVIATION CLASSICS – Issue number 27 out now!! 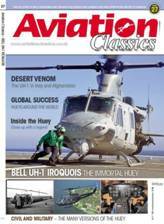 Latest News >AVIATION CLASSICS – Issue number 27 out now!! Exciting news for all our Huey Fans!! 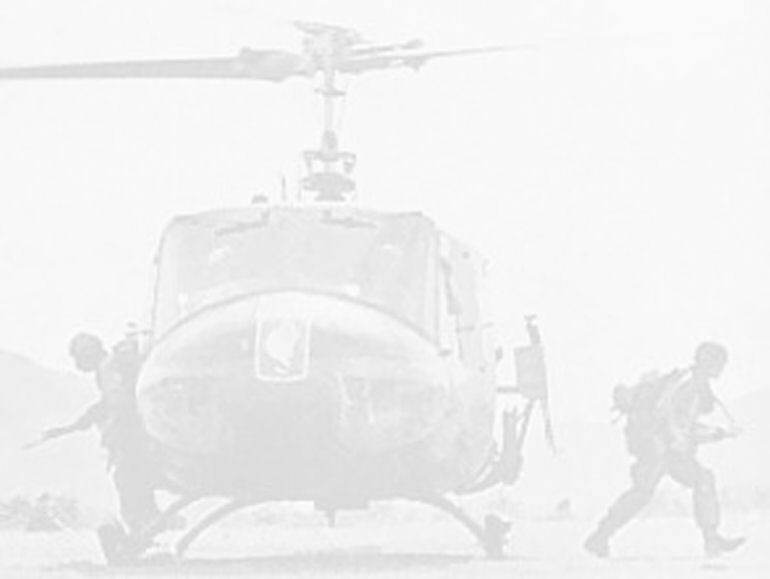 Huey 509 is featured in the current edition of Aviation Classics which was released for sale on the 5th March 2015. 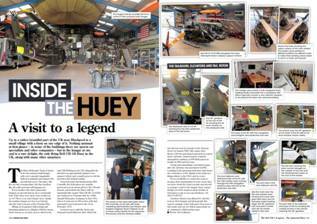 The whole edition is dedicated to the Bell Huey and there is 12 page article on our very own Huey 509. The photographs were taken by the Aviation Classics team during a visit to our hangar in the autumn of 2014 and include shots of the internal sections which are normally only accessed by the pilots or the maintenance teams. The article gives a detailed technical and historical description of our helicopter and is available now at a RRP of £7.99 from stockists such as WHSmiths or from Aviation Classics direct. For more information please visit the Aviation Classics website www.aviationclassics.co.uk where you can find out details of all previous issues, purchase a digital copy of any of the issues or take advantage of an Aviation Classics subscription package.